Merseyside club Liverpool were favourite to sign Borussia Dortmund star Christian Pulisic but that could be no more with English Premier League rivals Manchester United already in the race as well. According to reports, both Premier League sides are now to battle to convince the German Bundesliga star into a move as it seeming that he would be on his way out of the club. Christian Pulisic is currently one of the best players in the German Bundesliga since joining Borussia Dortmund in 2015. There are therefore fears that he would not remain with the German side for too long a time because of the big interests he has got from the English Premier League sides. 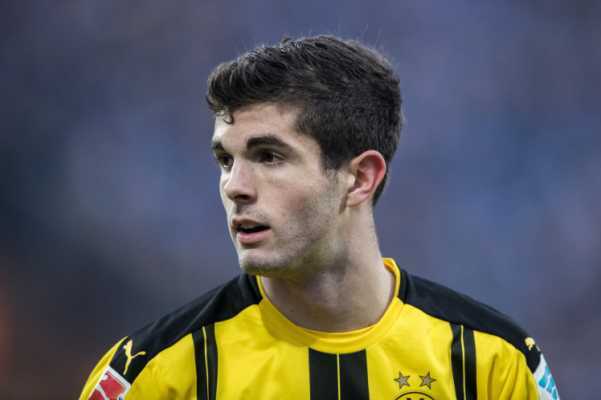 Christian Pulisic’s contract with Dortmund expires in 2020 but there are no signs he will seek a renewal and the club will not be willing to let him leave as a free player. The 20-year-old has also hinted on his willingness to move to the English League, noting that it has been a dream of his since he was a kid. However, Liverpool are believed to have won the race over United knowing that they have got better standing at the moment with their chance to play in the Champions League looking clearer. Is Lozano heading to Chelsea ? ?